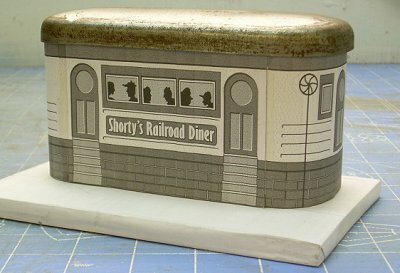 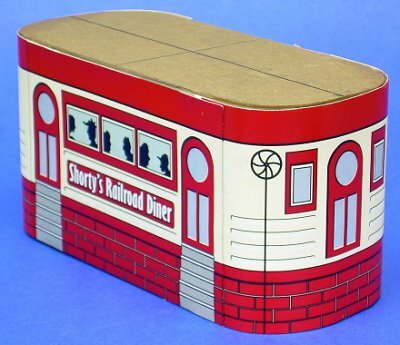 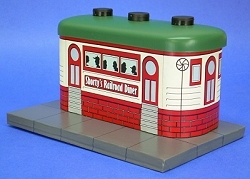 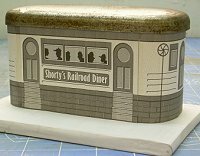 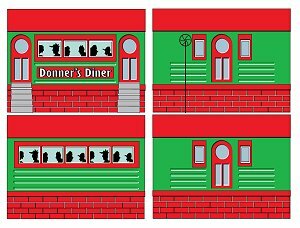 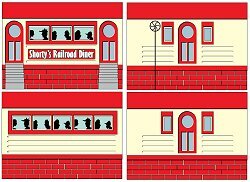 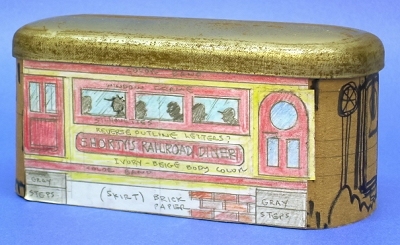 Bonus: Christmas Graphics - As an extra holiday gift to our readers, we're including a set of S Scale Christmas Diner graphics you may use to produce an especially "festive" version of this project for your Christmas village or Christmas-themed railroad. 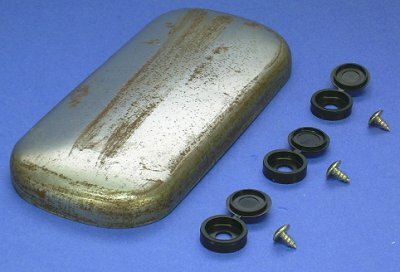 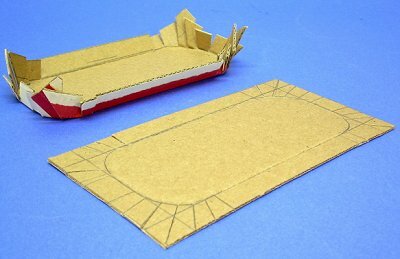 For now, we're just providing the size of the project shown above (for use with S Scale or O-gauge tinplate trains or Christmas villages). 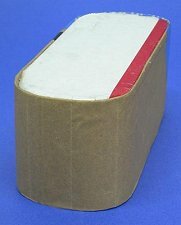 If you need another size, contact Paul.